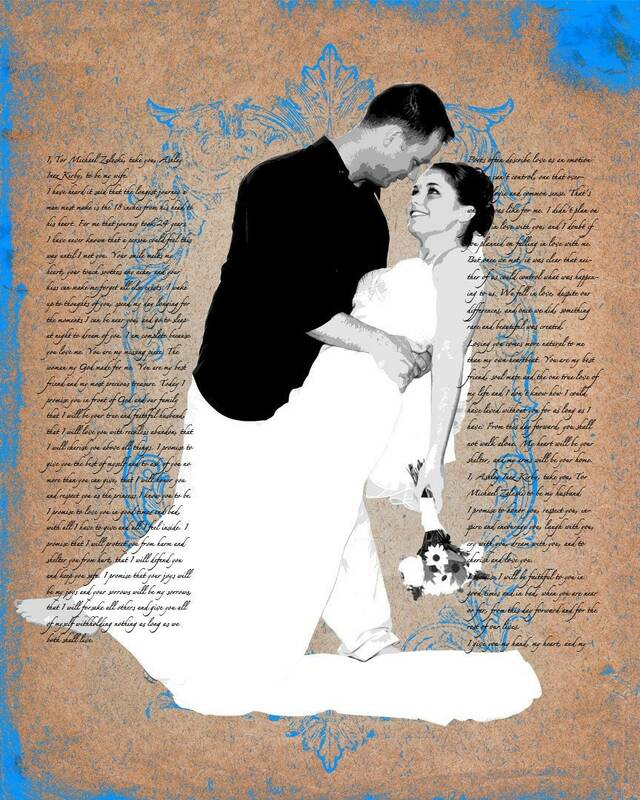 Create a custom, modern, 2nd anniversary gift on canvas from YOUR photograph and YOUR words. I will turn YOUR photo and words into a piece of art that you can showcase on your wall! I will print your image on high quality canvas and then stretch it around real wood supports. Your image will wrap around the edge so there's no need for a frame. Just take it out of the box and hang it on the wall! 1. Purchase the size and style you would like. 2. Email your photo and/or words to me via Etsy message or to studiojones1 [!at] gmail.com. A high resolution .jpeg is preferred. 3. I will send you a proof in a few days. You can then let me know if you'd like me to make any changes. 4. Once you approve, I will print your artwork and ship it to your door! Please email me for specific sizes and prices. Please email me for shipping to different countries. I ship via US Mail. Shipments are not insured unless you make arrangements with me ahead of time. Please email me for shipping rates outside the US. Some countries may charge customs fees, which the buyer is responsible for. Canvases and wood prints are protected against UV light and fading but should not be exposed to direct sunlight. Canvases and wood prints are not meant to get wet. Colors may be slightly different on different computer screens. I will email you a proof prior to printing for all customized items. Please make sure to review and approve all proofs. I don't mind making changes at all before the printing process. I am open to custom orders. Please email me. Sizing depends on the resolution of your photo. You can email me your photo if you would like me to check it for you. Canvas prints can be pretty much any size you need. The finished product was fantastic!! I purchased this as a wedding gift for a friend and loved it so much that I ordered the same thing for three other couples. John was very responsive and easy to work with. You won't be disappointed! I haven't seen it yet but my parents were thrilled!